The Living Temple Project invites people from different cultures and spiritual traditions to offer blessings, prayers and rituals for healing, reconciliation and world peace. For the project Megan Wagner created 33 Sacred Robes representing 33 spiritual qualities such as Compassion, Joy, Peace, Wisdom and Truth. Megan and her team travel to sacred sites and temples inviting people to wear a robe and give a blessing to the world from their own spiritual tradition. This is being documented with photographs and video. 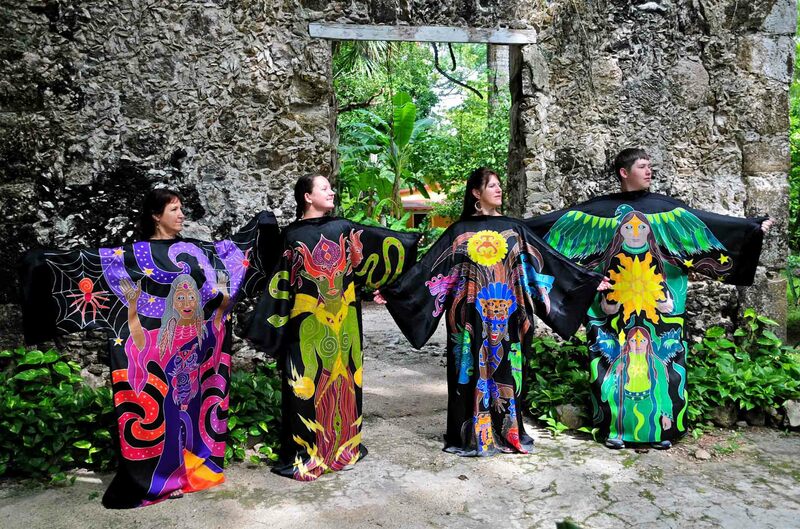 As a person wears the sacred robe at a sacred site and offers a sacred blessing to the world, they become a Living Temple to inspire world peace, interfaith dialogue, compassion and joy.